This large family sitting room was the last room to be transformed in a complete home refurbishment. Previously boasting a slightly 1980's feel, with navy blue and yellow detailing, the client was keen to transform this lovely sunny room into a stylish and tranquil space. 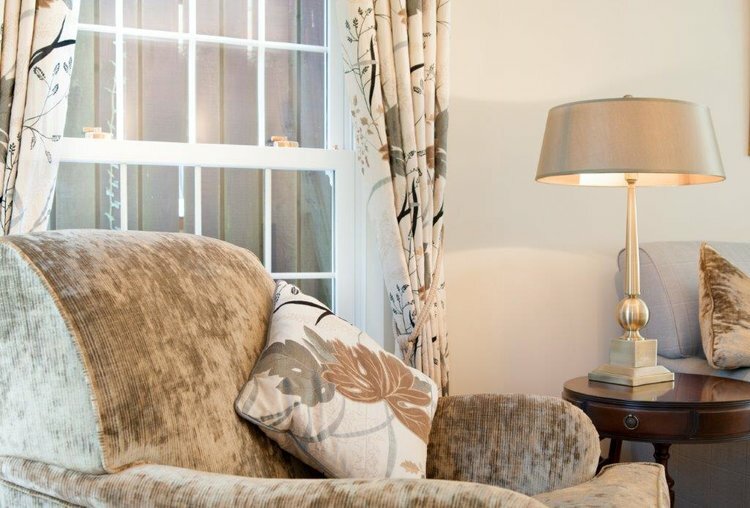 Continuing the neutral palette which flowed throughout the house, we added classic detailing with Zoffany upholstery. 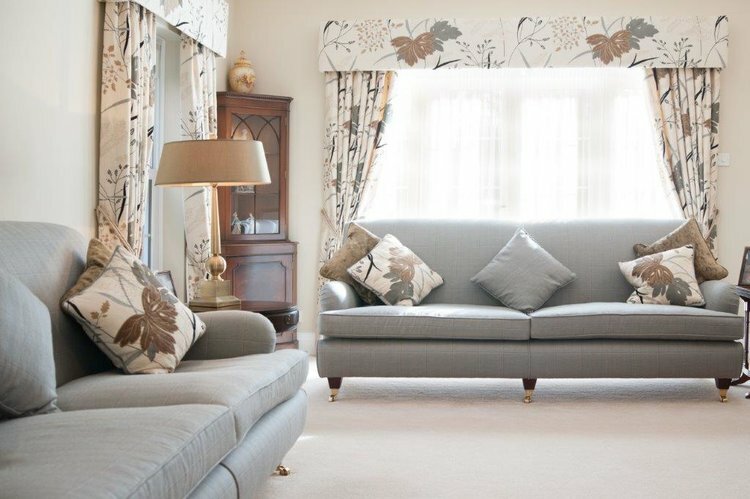 The curtains use the beautiful 'Arboretum' design fabric from Nina Campbell, featuring a bold foliage design set on a relaxed linen background. Whilst still reflecting the client's classical tastes, the new scheme gives a contemporary flourish with autumnal accents.